Maggie Lyon weaves her way down the lane. The junior guard scored 15 points in Sunday’s 86-83 overtime win, none more important than the 2 she produced with seconds left in regulation to tie the contest. The winning streak has reached seven. Northwestern (21-6, 11-5 Big Ten) went on the road Sunday and stole a victory away from Wisconsin (8-18, 4-12) in an 86-83 overtime thriller. The Wildcats came into the contest a half game back of the fourth spot in the Big Ten, while the Badgers were in a tie for tenth. Wisconsin was having its senior night on the team’s last home game of the season. Despite nine first half turnovers, the Badgers took a 31-23 lead into the half. In the second half, Wisconsin’s possessions problems continued, but NU was unable to take advantage of them and saw the Badgers build a 15-point lead with just less than 10 minutes remaining. But the Cats did not give up. NU fought its way back into the game and cut the deficit to 6 with four minutes left. NU then nibbled the lead down to 2 with three minutes left and retained that deficit down to the final seconds. With 3.5 ticks on the clock remaining in regulation, the Cats had one last chance to tie the game off a base line inbounds play. Sophomore guard Ashley Deary found junior guard Maggie Lyon for a mid-range jump shot that tied the game at 70 with 1.5 seconds on the clock. In the extra period, NU jumped ahead early, and with 59.7 seconds left, held an 8-point lead, but Wisconsin responded. The Badgers trimmed the Cats’ advantage down to 1 with 13.5 seconds left in the game. After sophomore guard Christen Inman made one-of-two free throws with 12 seconds left, Wisconsin missed an open layup that would have tied the game. 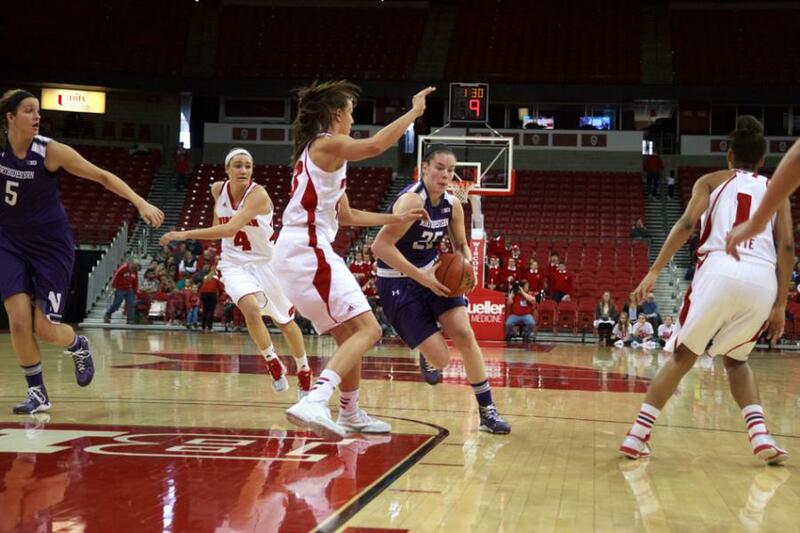 Senior forward Alex Cohen went to the line for NU and pushed the lead back up to three with 2.8 seconds in overtime. The Badgers did not get off a shot after Cohen made the free throw, and NU escaped the Kohl Center with an unbelievable triumph. Sophomore forward Nia Coffey led the team in scoring once again with 21 points. Lyon and Deary contributed 15 and 12 points, respectively, and finished tied with senior guard Karly Roser with a game-high five assists. Deary also had a game-high four steals in the win. The Badgers outrebounded the Cats 48-28 in the contest, but lost the turnover battle 23-10, which allowed NU to stay in the game. This was similar to the previous matchup between these two teams which saw Wisconsin grab 10 more boards than the Cats but have 12 more turnovers. This victory pulls NU into a tie for third in the Big Ten with Ohio State, Minnesota and No. 19 Rutgers.